“VETS” is an achingly beautiful and personal series of Veterans of War. Primarily using portraits as his starting point, photographer William Wright evokes and unveils a truth in his subjects that transcend the light of everyday life. We see the familiar but it is rendered extraordinary. Bill Wright, born in Bridgeport, CT graduated from the Colorado Art Institute in 2000. He is a father, a veteran of Desert Storm/Shield and resident of Pittsfield, MA. After working in the commercial photography industry for a decade, he embarked on a monumental artistic project. 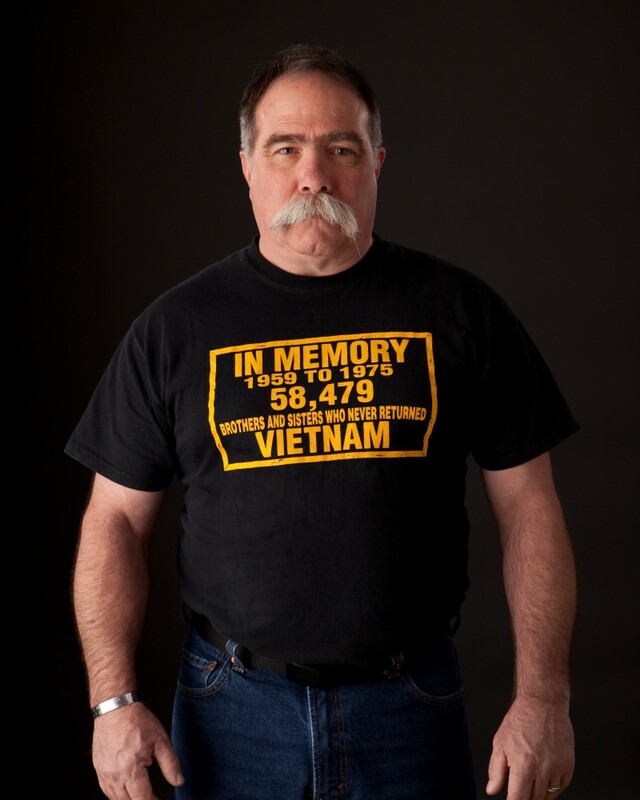 VETS, an achingly beautiful and personal series of portraits of veterans of war, has traveled throughout the country, most notably exhibited at the Statehouse in Boston Massachusetts. Recent projects include “Papermakers”, a portrait series of the employees of Crane Paper Company; and currently, “The Answer is Never the Answer”. His work professes an honesty rarely seen.